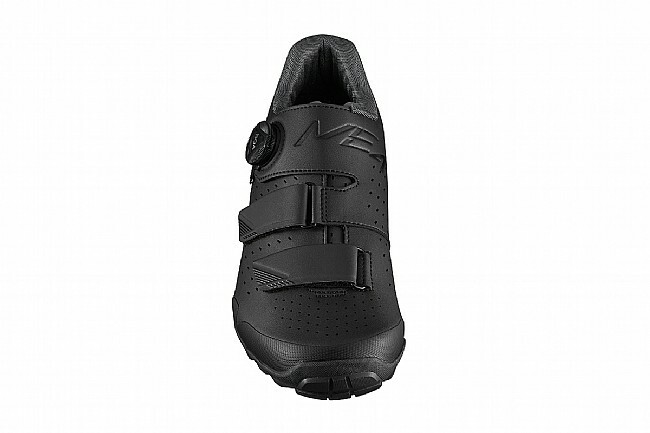 The Shimano SH-ME400 is a high-performance and high value off-road trail cycling shoe. 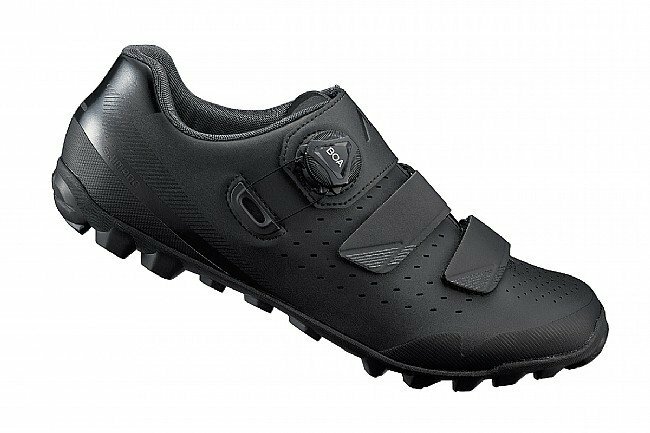 High-density synthetic leather with perforation improves fit and breathability. Boa L6 dial for quick and precise micro-adjustment. Off-set Strap relieves tension at highest point of the foot. 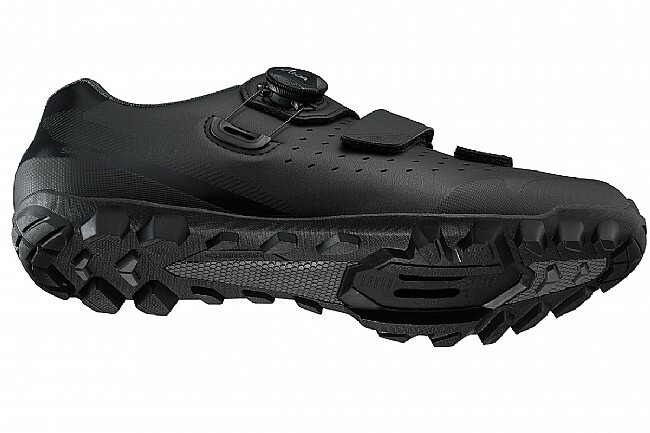 Lightweight rubber outsole offers all-conditions traction and grip. Glass fiber reinforced midsole for power transfer.